Mayo (Connacht U20 football final v Roscommon, 17/6/2018): Patrick O’Malley (Westport); Johnny Maughan (Castlebar Mitchels), Brian O’Malley (Westport), John Cunnane (Ballyhaunis); Paul Lambert (Westport), Oisín Mullin (Kilmaine), Cathal Horan (Kilmovee); Jordan Flynn (Crossmolina Deel Rovers), Evan O’Brien (Ballinrobe); Nathan Moran (Hollymount/Carramore), Ryan O’Donoghue (Belmullet, captain), Oisín McLoughlin (Westport); John Gallagher (Mayo Gaels), Ross Egan (Aghamore), Tommy Conroy (The Neale). So it’s just the one change for us compared to last weekend’s semi-final, with Johnny Maughan replacing Rory Brickenden at corner-back. Roscommon have also named their team for Sunday as well and details on both team announcements are here. Looking forward to this one. Good Team. I might be wrong but I am counting 8 players with All Ireland Medals already. Brian – 4 for Westport Int. 4 Ballinrobe B. Who has the other 2. I think O’Donoghue has some for boxing and soccer too but not counting them. Thanks Brian, I think we might have some on the subs as well. Based largely on three very poor minor teams,really hope they can turn it around at u20 or we’ll be in serious trouble in a few years. Agree Jay. We badly need a provincial win at underage. Will Mid West be broadcasting the u20 game. Best of luck to the team and managment. Best wishes to Mayo U20s on Sunday. Some fabulous talent in there..
Best of luck to them . Tickets are hard get otherwise I would of went down . I think the silly schedule of this new championship will be a help to Mayo while a hinderence to Roscommon. Mayo couldn’t have asked for a easier passage into this final while the rossies had two tough games the last two weekends and have lost a few starters to injury and suspension. After ringing around today to find tickets for Sunday to watch our under 20s but there all sold out.Really Ross should have been punished for not having a proper minimum 25 thousand capacity in the Hyde for a Connacht final in this day and age.McStay knew what he was doing and the Connacht council gave in to his demands and has punished Mayo having home venue for the Under 20 final and has cost Mayo supporters a chance to watch the game. Game on Eir Sport 2. TH, are you really suggesting McStay put his foot down on having the Connacht final in the Hyde to punish Mayo supporters? Really? More plausible explanation is he wanted home advantage (which they were due as it’s their turn) and best possible chance for his team to win. I would expect the very same from a Mayo manager in the same position. Mayomad totally agree… Having said that its crazy that as of Tursday before the game no tickets available and only 18000 for a provincial final ..
At least Roscommon have a playing surface capable of hosting a Connaught final. How can McHale park be so bad at this stage of the year. Any status updates on Conor Diskin & Colm Moran? Best of luck to the Mayo u20 team on Sunday. I think anyone who is genuinely interested in going to the game will easily get in. Sure if you go into any of the pubs there will be people who will prefer to watch both Limerick v Clare and Ros v Galway on tv. I see John Maughans Son is named to start. 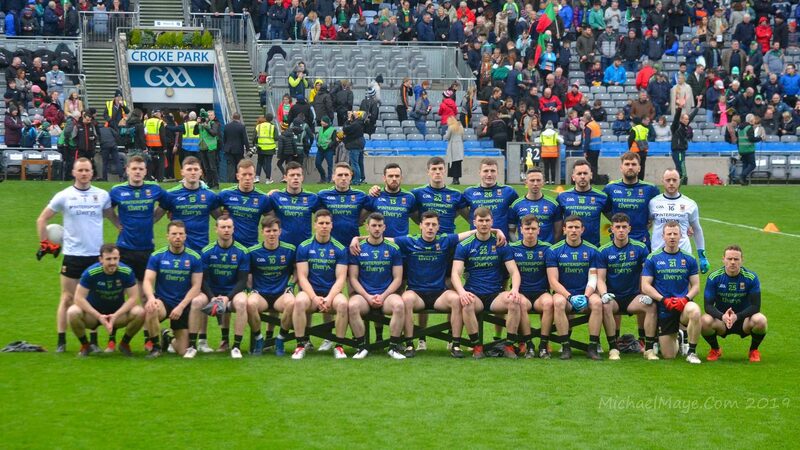 Best of luck in the final lads. Rumour Tommy . Slap on the wrist on the way ! Best of luck to Mike and his team on Sunday. I don’t know what the fuss is over the venue. The Hyde is a great place on final Sunday and it always was. Roscommon is a great town to have a pint or a meal. Official attendance in last year’s final was 17.5 K. It was in Galway they had home advantage and a poor home crowd according to my Galway friends who were a bit dissapointed with the crowd. Home advantage will not win the game but we have to operate a fair system at least some of the time. Really think we are going to win this one. JP You are closer to this than we are. I am going on the past underage performance at inter county level for some of this panel. I will be kind here and say I would not share your optimism. I have great faith in Mike but he has his work cut out I think . Would agree with PJ. Wouldn’t talk up this u20 team too much. We have seen some very poor performances at minor level over last few years. Would be a good one to win. Best of luck to the lads. can anyone tell me when Mayo will be playing New York next year in Gaelic Park please? James Fleming….I don’t think a date has been set yet but the New York game is usually the first Sunday in may. James Fleming – The Sunday on the May bank holiday weekend (Sunday May 5th 2019). A great weekend and I hope to be here myself. It could be the last ever time we play there in a Connacht Championhip game with my view that a second tier will be introduced in the next 5 years. Tommie – until you can show a published source for that claim you’ve made about a named player, that’s you in moderation … for disciplinary reasons. Long shot – don’t suppose u20 game is on tv? Best of luck to under 20’s. Hooefuly there will put in a performance to show we are beginning to bridge the gap. Are they onto AL quater finals regardless of rest? No quarter finals in under 20, conn champions play ulster in semi final. Armagh have 10 players suspended for ulster final against Derry. Roscommon missing their best player, a midfielder who was concussed the last day. Think they’re missing another lad also. I would share JP’s optimism for tomorrow. Roscommon also missing Ciaran Lennon with a broken thumb he started all 8 league games for the seniors this year and was to be their full forward target man at u20 level. Its better that Mayo aren’t playing Galway as Mayo were well beaten by Galway in 2015,2016,2017 in the championship and they also lost to them at U17 least year. Mayo v Roscommon minor meetings last 3 years. (only met in the minor league) 2015 Roscommon won by a few points, 2016 Roscommon hammered Mayo and 2017 Mayo won by a bit to spare. Roscommon were also well beaten by Galway at minor in the last few years, they also lost to Sligo. While they did reach last years u17 all Ireland final I think only two or three of that team are playing tomorrow,so there shouldn’t be much between them. Is the game on MWR? 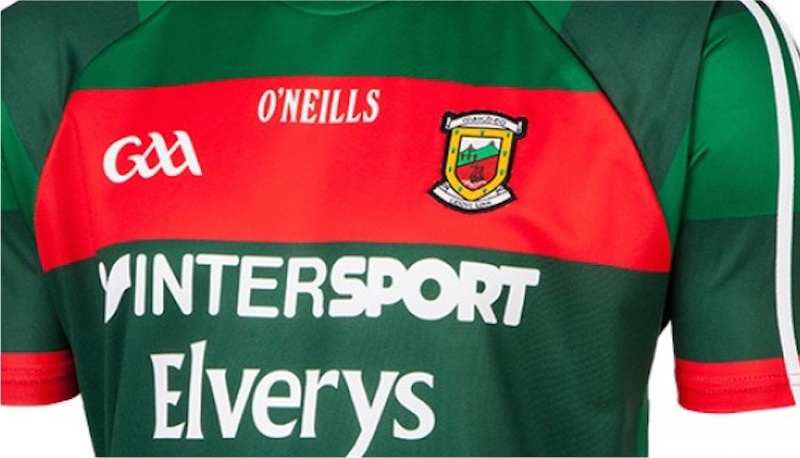 Best of luck to Mayo u20’s today. Not living in the county, I am not very familiar with many of the players. Names that have appeared in recent years are Maughan, Lambert, Jordan Flynn, Nathan Moran, Egan, Ryan O’Donoghue (Eoins brother? ), & Oisin McLoughlin who scored 2 goals in Croke Park in All Ireland final – intermediate club. Not a bad days work for Oisin. Hope to see new talent emerge especially up front. Connacht Final day in senior and Galway favourites to retain, sorry regain the cup. I just wonder at the relevance of the result. Mayo already focussed on the later stages and preparing accordingly. Mayo ahead at the break, 1-5 to 1-3. We’re 1-5 to 1-3 up at half-time having played against the wind. The goal was a penalty by Ryan O’Donoghue, four points (three frees) from Ross Egan, one point from Paul Lambert. Midwest are doing full commentary on the game. Mayo getting on top now. 2 goals in 2 mins. 3-9 to 1-5 now. Superb job by the team. Massive score. Well done to all the lads. Some silverware in Mayo. Great result. 2-13 to 0-1 in the second half, of love to see Cake’s face!! 3-16 to 1-6 is one of the best underage results We’ve seen for a number of years. Great to have strong players coming off the bench proves we have strength in depth. It’s not all doom and gloom there is a future in Mayo after all. Great result ! A bit too early to get carried away but it goes some way to make up for the last three years at minor. Who’s getting carried away Jay? We just won a Connacht final by 19 points. Lord knows the doom merchants are quick enough to throw in the boot when we lose. A few of us fancied this Mayo team today, mainly people involved at club level in the county. There is some serious talent on this team with a great spread of 9 lads scoring. The Ulster U20 final will be a complete shambles with Armagh having over a dozen players suspended when they play Derry. We have a right good chance of making an All Ireland final. Well done to the u20 lads. That was a fine score. Hopefully the injured man will be back for the next game and that they drive this thing home. Btw. Thank you WJ for this website. I for one never take it for granted, it’s beyond great for keeping an eye on things “ from afar”. Much greater challenges ahead. We should wait and see . So we’re doomed over the next 5 years are we? No talent or organisation at underage level? Winning a provincial title by 19pts against a fancied Rossie side in their own back yard says alot about where our talent lies. Talk of All Irelands etc is not for now. Today is to be savoured and enjoyed by players, management, backroom staff and, most importantly, the families of these young men. A huge score and vibrant attacking football. I was getting sick to my hole listening to some, supposedly esteemed judges, writing off our young talent. Anyone that has attended club and college football the last two years can see the huge potential we have within our county. These young men have grown up watching and learning from our current senior lads, success breeds success. While our seniors might not YET have got over the line and collected their Celtic Crosses like Kerry amd Dublin, their legacy will be another breed of hungrier, more confident young men that want to better what has gone before. I reckon what’s coming through is better than what was there before. That’s usually the way knockout championship football works Jay, the further you progress the tougher it gets. These lads are all playing senior championship or league football with their club (bar two or three), a good number of them have won All Irelands at club or school and they’ve had 2 years under an All Ireland winning manager. The half backline in particular are exceptional, teak tough and fearless to boot. In Ross Egan we have a real star starting to rise. You have to take into consideration the quality of the opposition. I would rather they beat Galway by a point than Roscommon by 16 it would be a better indicator of how they have progressed from minor level.